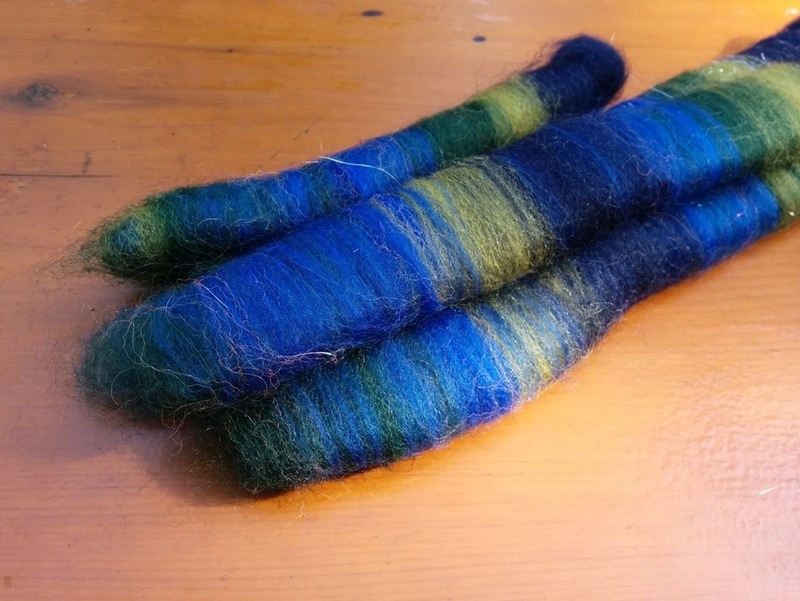 As part of the work here at Wool n’ Spinning, I have been extremely happy to be able to offer fibre club. 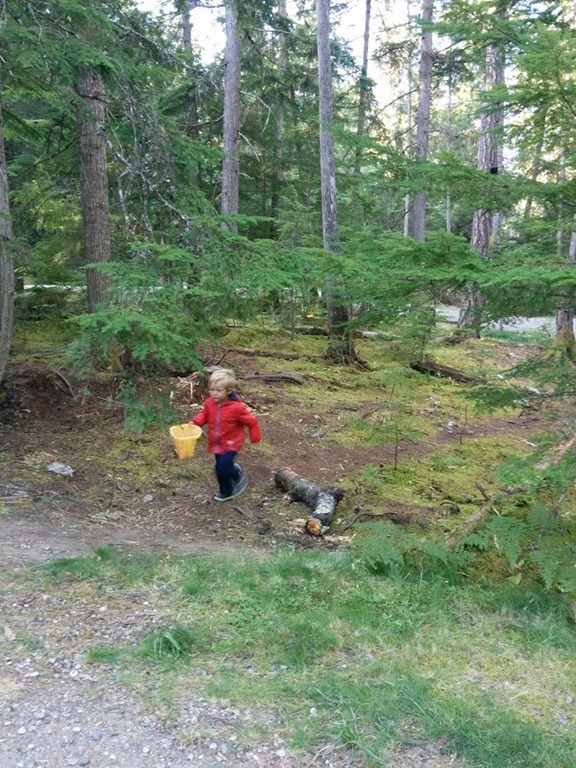 This month I was inspired by the colours that surrounded us on our latest adventure through the Interior of British Columbia. Before we left, I made a few test punis to spin while we were away and I thought that if they didn’t work out the way I had imagined, I would re-work the colours when we came home. 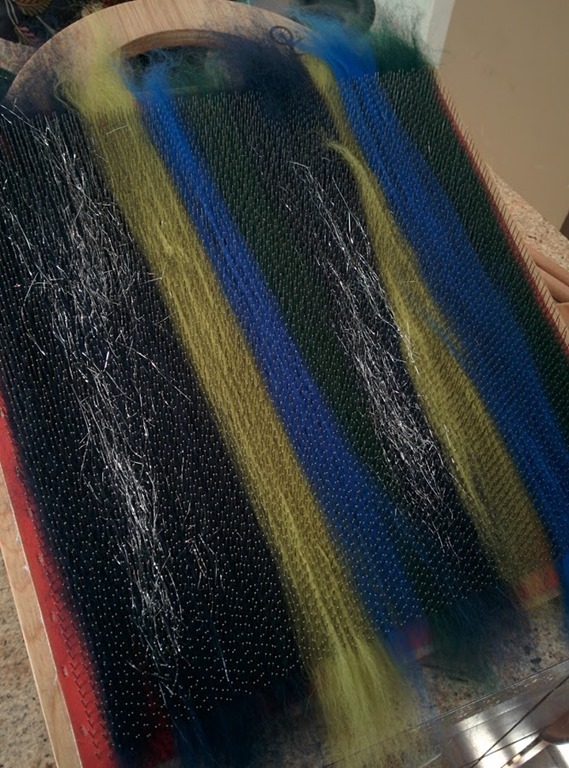 I decided to app+roach the blending board for this month’s club and while the blending board isn’t necessarily my most favourite* fibre prep tool, it sure makes awesome punis-style rolags! *When I say it isn’t my favourite, please watch this videocast that I released back in the Spring to put my assertion into context! One of the advantages of preparing a fibre club that focuses on carded fibre is that I get to prepare different things each month. I love that punis-style rolags are one of those offerings! 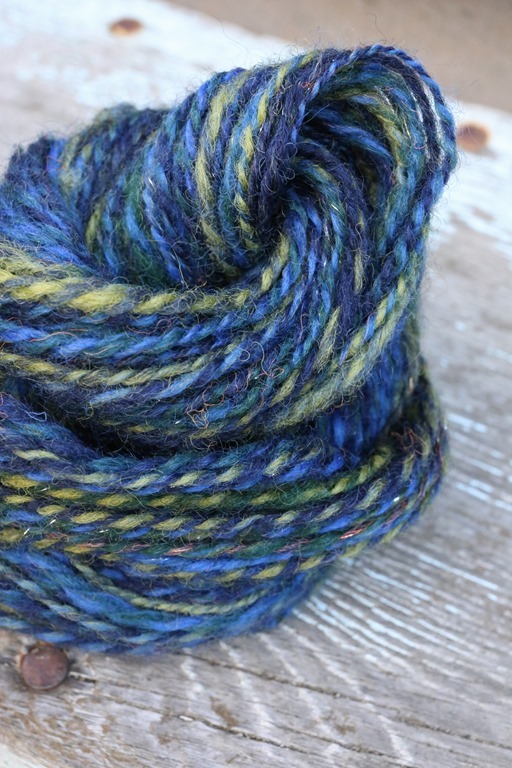 This month’s fibre was a blend of Corriedale, Perendale, Merino and Angelina. I didn’t place the Angelina through all of the fibre because I knew that once spinning, the Angelina was slippery enough that it would migrate into the other areas of colour when drafting. This is exactly what happening once I had pre-drafted and spun my rolags that I prepped for myself to spin. Are you curious about how to use your blending board more effectively? Grace Shalom Hopkins has a new book out called Blend that might help as well as tons of useful YouTube tutorials. Back to this month’s club! I spun all of the punis to one bobbin and plied from a bracelet as I usually do for fibre club. I love the effect and for blended, carded fibres and colours, it is a great technique to use when colour preservation is a low priority, which is usually is for me when I am working from carded preps. 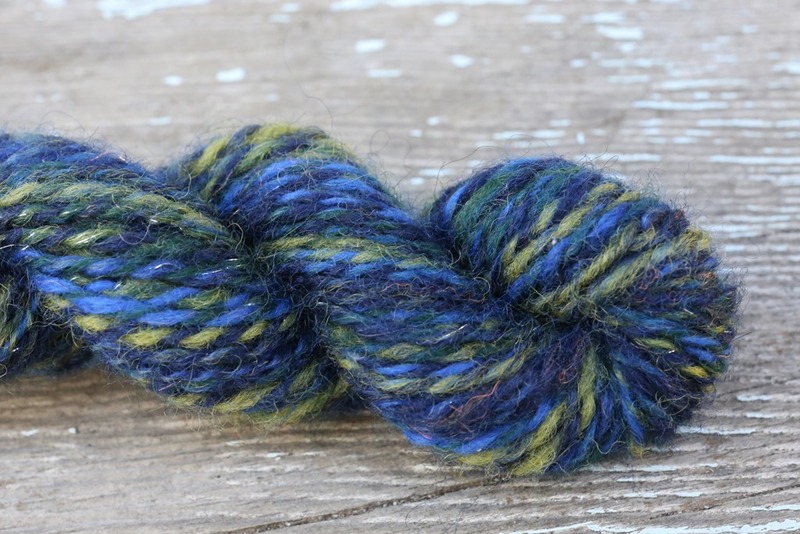 To share how you spun your Fibre Club, please join our conversation over here in the Ravelry thread! I thought I would clarify the Fibre Club opening for those interested! To begin receiving Fibre Club for November 2016, Patreon will open up on OCTOBER 1st @ 0700hrs PST. There will be limited spaces available for Fibre Club and Combo Spin but unlimited for Workshops. I hope you will join us in our ongoing discussions and learnings and spinning! 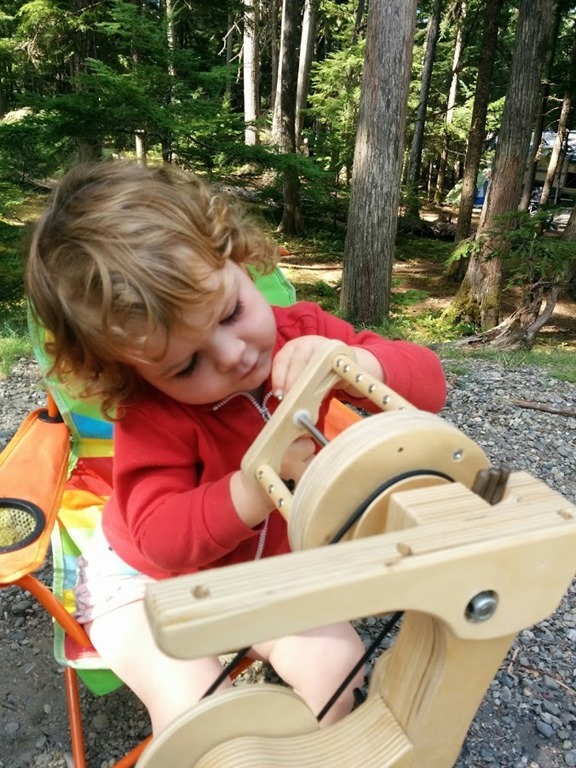 Next Post Episode 39: Ready, Set … Spinzilla!